CENTURY 21 Alliance Realty - Pearson-Adams, M.
9:00 a.m. to 5:00: p.m.
Our Real Estate Professionals are Always On Call! 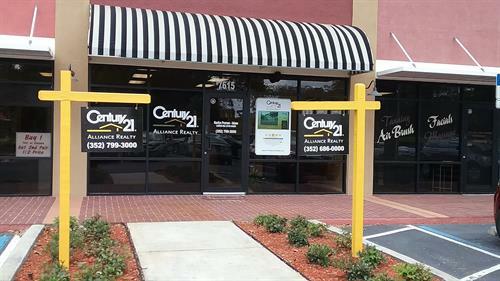 In February 1979, two forward-thinking like-minded friends, who both happened to be real estate brokers, each owning different CENTURY 21® real estate companies in Hernando County said hey,” let’s join forces”. 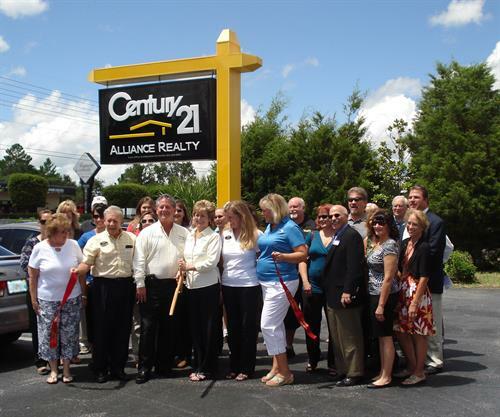 Out of their great friendship and their passion for the real estate profession, beginning with an idea, on that February 1979 date; what we know today as CENTURY 21® Alliance Realty was born. Today and every day we give thanks for the vision of our founders, the late greats, David H. Sturgill and Harry Timmons, Sr. “Our founding fathers high standard of ethics, deep passion for the real estate profession, and their strong commitment to outstanding customer and agent services is alive and well today”, said Broker, Marilyn Pearson-Adams, who worked side by side for years with both David and Harry. Marilyn also said occasionally when she seems to be hesitant about making a major decision for the company, she thinks about David and Harry, and low and behold a decision is made, and the company growth since birth continues. “Family First” is who we are, and what we believe in. So when we say “Family First”, what does that really mean? To us, it has two meanings. First, the personal families of those who choose to come to work with us should always come first. Second, because most individuals who work can spend a large portion of their waking hours away from home, we created a strong comfortable family culture inside our company. 7601 Horse Lake Rd is off Cortez Blvd in the Beef O Bradys Plaza - 13127 Spring Hill Drive Office East of Mariner Blvd on N side of street.